HTC Bolt Price, Review, Deals, Cost, & Sales! Home / Compare Cell Phones / HTC Bolt Price, Review, Deals, Cost, & Sales! The HTC Bolt was named after the famous Jamaican sprinter, Usain Bolt, with the promise of high-speed internet speeds as it is the first smartphone to use Sprint's LTE Plus network. This device features a 5.5" QHD Super LCD 3 display with a screen resolution of 2560 x 1440 pixels and has a pixel density of 534 PPI. While the Samsung J7 Perx has the 5.5" TFT screen with 720 x 1280 pixels and has a pixel density of 267 PPI. It is equipped with a 16 MP f/2.0 rear camera with optical image stabilization and is capable of recording 4K videos @30fps. The quality of photos it takes is good but not among the top out there. The HTC bolt has an onboard storage capacity of 32 GB with support of up to 32 GB expansion via microSD. The Samsung J7 Perx has the bigger 16 GB internal space with support for expandable storage of up to 128 GB. This phone comes with a single side-firing speaker which is loud with minimal distortions at higher levels. The sound quality is more than enough in an open environment. It has a front-mounted fingerprint reader embedded in the home button. The reader works fast and is accurate but there are a lot of phones who can do a better job. The HTC Bolts runs on Qualcomm Snapdragon 810 clocked at 2.0 GHz. Performance wise, it works fine but will show a noticeable lag when using heavier apps. While the Samsung J7 Perx has the much faster Qualcomm Snapdragon 625 8953. This device has a big 3200 mAh battery but with a disappointing battery life. It could keep conversations going for up to 23 hours with standby time of up to 20 days and video streaming over LTE for only 4.4 hours. On the other hand, this phone supports fast charging. This phone is rated IP57 and will survive when submerged in water one meter deep for up to 30 minutes. The IP rating, however, is not a deal breaker knowing that most premium phones are rated IP68. This device is named after the legendary sprinter, Usain Bolt. The HTC Bolt is waterproof. 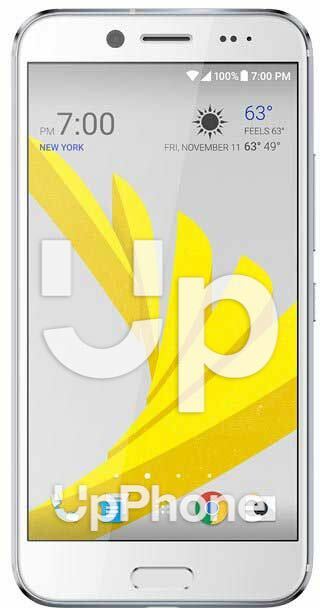 It is the first phone optimized for Sprint's LTE Plus network. This phone has a hearing aid compatibility of M4, T4. It features a wireless screen share for a more enjoyable experience when around friends. It has a USB type C headphone jack.